You’re serious about your work, and you want your tools to be serious too. There’s nothing worse than sitting down to do some design and having your computer lag. It’s like asking a carpenter to use a rock instead of a hammer—sure, it’ll get the job done, but not in a way that leaves anyone happy. BOXX is an American manufacturer of desktop and mobile workstations that feels strongly about providing the right tools for the job. It builds workstations specifically targeted at high-performance users in the industries that demand it including architecture and engineering, manufacturing and product design, 3D animation and film editing, and deep learning. BOXX advertises the APEXX S3 as “the standard for CAD, 3D modeling and animation workflows,” and the specs can’t help but impress. The S3 has room for up to three GPUs. The Intel Core i7-8700K processor can be overclocked up to 4.8GHz. Intel itself says this chip can only reach 4.7GHz, so the BOXX engineers clearly have some clever tricks up their sleeves. Starting at a base price of $3,654, the APEXX S3 is highly configurable upon purchase. You can choose between 16GB, 32GB and 64GB of DDR4-2666 memory. You can opt for the base 512GB of SSD PCIe storage or go as high as 6TB with an additional two hard drive bays available. You can go with the base GPU alone, an NVIDIA Quadro P2000 or change it and add up to two more of your choice. There are numerous NVIDIA and AMD GPUs available. This is where the price can really start to skyrocket. Many of the available GPUs are more expensive than the base price of the S3 itself. Some of these prices are approximations based on commercially available parts, averaging the high and low price points. 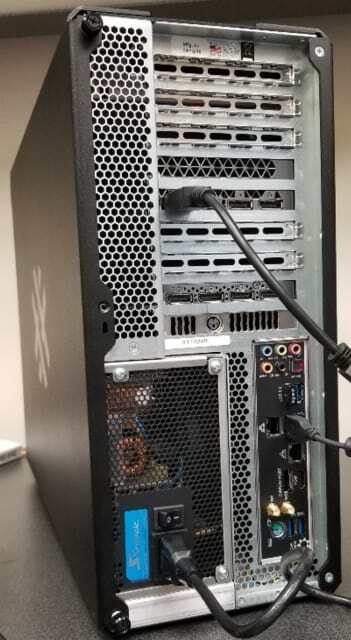 Some of the parts are not available outside of a BOXX workstation—the custom aluminum chassis, for example—though alternatives are easily found. The difference, then, between buying and building a PC with these specs is approximately $2,600. BOXX realizes this yet remains fully confident in the superiority of its solution. For one thing, it stands by the quality and integration of the components it selects. 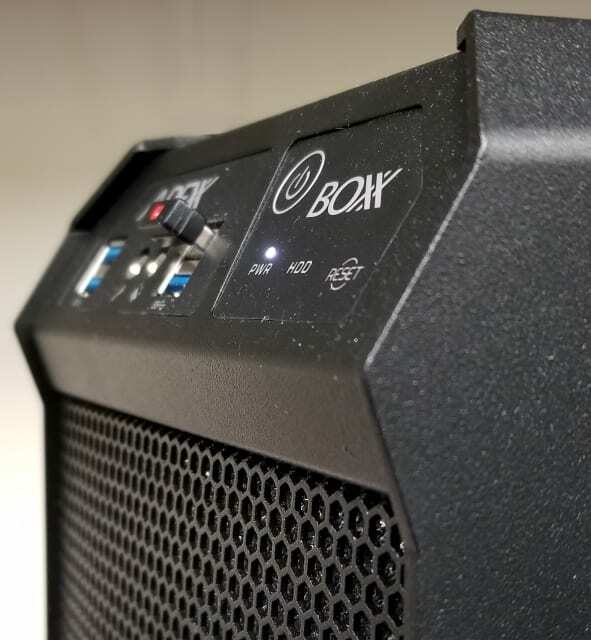 “Our innovative integration of only enterprise class components, drives and customized BIOS sets us apart from the mass market, one-size-fits-all workstation manufacturers,” reads one section of the BOXX website. Another of BOXX’s selling points is its team of customer support specialists. 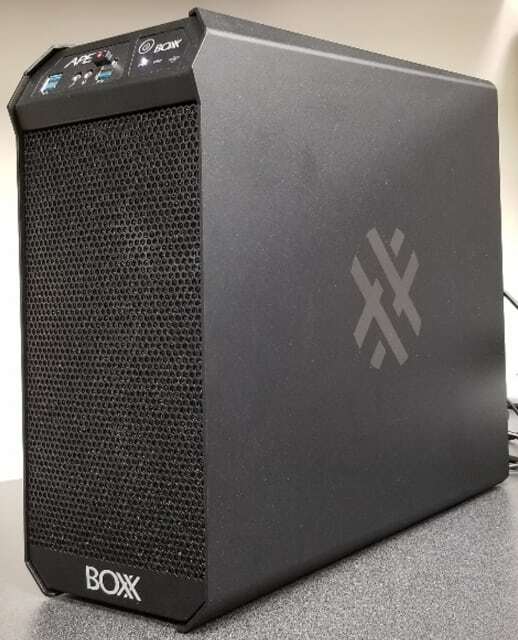 Not only do they know the hardware backward and forward, BOXX claims the team is also intimately familiar with the software applications used by its customers: Revit, V-Ray, SOLIDWORKS and the like—the BOXX chassis are designed in SOLIDWORKS, after all. This means it can help pinpoint the problems that exist throughout your entire workflow. Our APEXX S3 review unit. Now that we’ve covered the main specs, let’s move on to our experience with the BOXX APEXX S3. The first thing you’ll notice about the S3 is the striking aluminum chassis, which looks and feels great. Made with aircraft quality aluminum, the chassis is designed by BOXX and fabricated in Texas. BOXX likes to point out that its systems are Made in the U.S.A.
There’s a generous selection of ports on both the front (4x USB 3.1, audio out/mic in) and back (4x USB 3.0, 2x USB 3.1, 2x Ethernet, audio out/mic in/line in, Wi-Fi 802.11a/b/g/n/ac,1x HDMI, 1x DisplayPort). The front air filter is removable for easy cleaning. The chassis itself can be opened for quick access to the components inside. There’s no optical drive, so if you’re trapped in the 90s and need a high performance CD reader, you’re out of luck. Performance-wise, the APEXX S3 runs as smoothly as the specs would suggest. The SSD is lightning quick, with the computer and applications booting up in no time. We tried a few in-canvas renderings in Fusion 360 and were impressed with how quickly the S3 could churn through iterations. Editing and exporting 4K video was also seamless. However, despite the liquid cooling, the S3 packs in a few fans, which give a background hum during intense workloads. Ports on the back of the APEXX S3. Autodesk Revit was another application we tested out on the APEXX S3. BOXX explicitly names the S3 as a preferred Revit workstation and has even published a whitepaper on how to configure your Revit workstation for optimum performance. The main hardware bottleneck for Revit, according to this whitepaper, is the clock speed of your CPU. Revit, like many CAD applications, is single-threaded, meaning you can stop worrying about how many cores you have and focus on that one number: 4.8GHz, in the case of the APEXX S3. 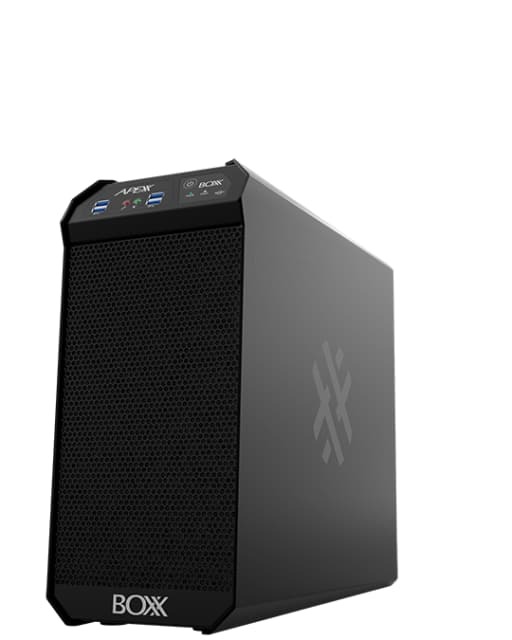 The APEXX S3’s CPU was definitely put to the test while doing any heavy lifting in Revit. For the most part, the application runs quickly and smoothly with the i7-8700K comfortably doing its job. When doing processor intensive work like rendering, however, the CPU goes into overdrive, chugging along at 100 percent utilization for several minutes at a time. Revit ate around 97 percent of the processor pie. One test—a rendering of an architectural project set to “best quality”—took about 20 minutes. The same render set to “draft quality” took about 10 seconds. Draft quality (left) vs best quality (right) of an architectural rendering in Revit. The difference in CPU time was about 20 minutes. You do have other rendering options. A popular application for architectural rendering is Lumion, which we also put to the test on the APEXX S3. Unlike Revit, Lumion makes much more use of the GPU. 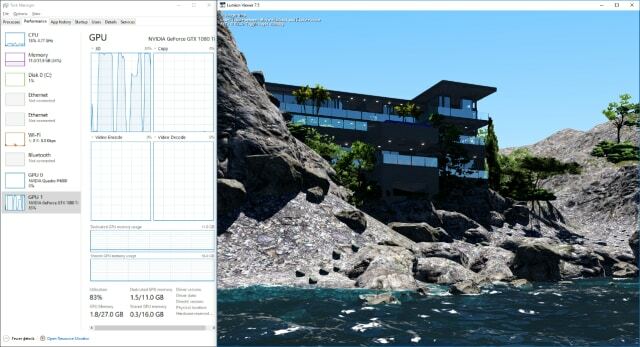 In one test, Lumion sucked up nearly 100 percent of the GeForce GTX 1080Ti while using only about 15 percent of the CPU. However, Lumion is also a single-threaded application that can benefit from higher CPU frequencies. Just as with Revit, BOXX explicitly recommends the APEXX S3 as an ideal workstation for Lumion. The GeForce GPU is put to work when using Lumion Viewer. Front panel of the BOXX APEXX S3. 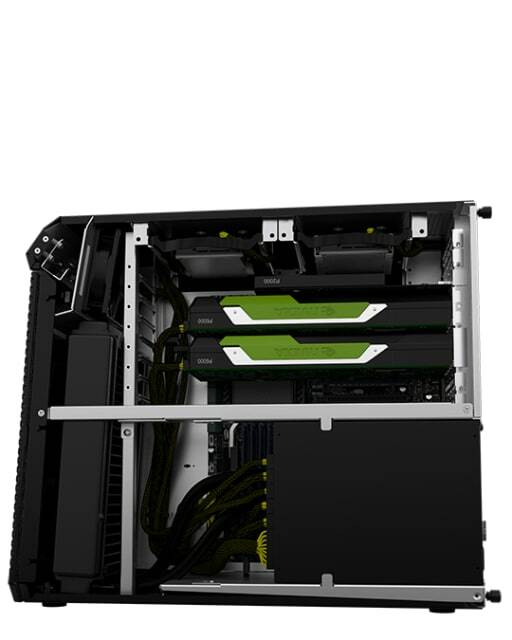 The BOXX APEXX S3 is a powerhouse workstation that’s designed to hold up to demanding CAD applications. Based on our tests, the S3 handles itself admirably, easily running applications that bring lesser computers to a grinding halt. Yes, the specs found in the APEXX S3 can be found for less elsewhere. But one of BOXX’s strongest assets is its expertise not just in hardware but also in the software used by its customers. Its overclocked processors are a huge asset for CAD applications. Its premium components—down to the custom American-made aluminum chassis—give BOXX workstations a truly professional feel. We often end our hardware reviews with a pro/con list, but in the case of the APEXX S3, there’s really only one drawback: the price. Everything else, from the high configurability to the exceptional build quality to the technical expertise, is a big check in the pro column. If you’re in need of a new workstation and don’t mind the high price tag, the APEXX S3 is a fantastic place to start your search. This entry was posted on Monday, August 27th, 2018 at 7:12 am and is filed under Advertiser, News.